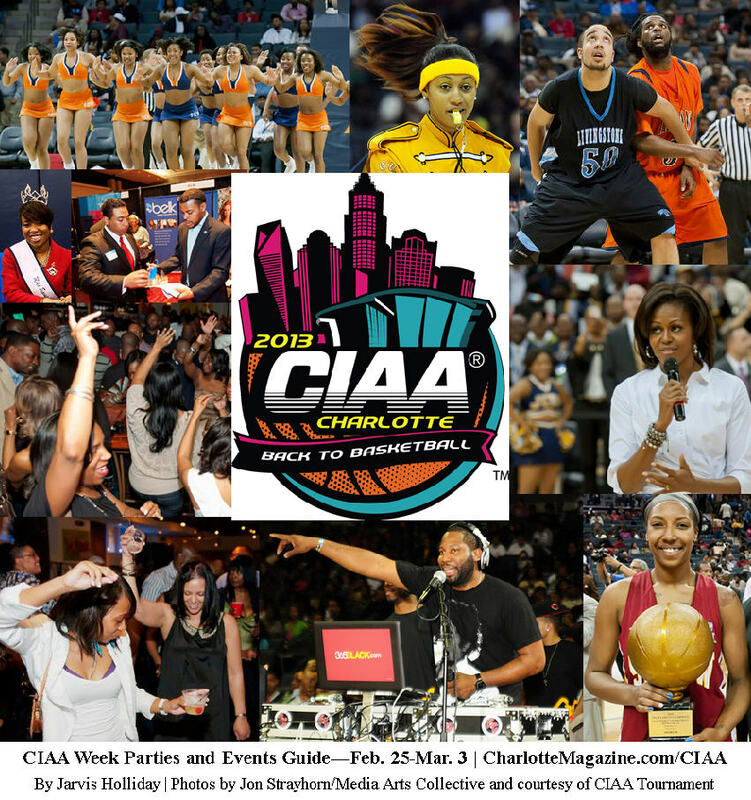 The 2013 CIAA Tournament kicks off tomorrow (Tuesday, February 26) at Time Warner Cable Arena in Uptown, featuring 22 basketball games over five days between the men's and women's teams of the 12 Central Intercollegiate Athletic Association (CIAA) colleges. But if you know anything about CIAA Week in Charlotte, you also know it means hundreds of parties (by individual promoters), dozens of celebrities coming to town, and tens of thousands of visitors—many of whom are coming to party. Like I've done the last few years, I've once again compiled a comprehensive list of CIAA Week parties and events for CharlotteMagazine.com. You'll find lists, organized by day, of 200 events featuring everything from the actual CIAA basketball games, to networking events, to fraternity, sorority, and alumni mixers, to fashion events and concerts, to the three-day CIAA Toyota Fan Experience, a film festival, and parties, parties, parties. Many of those parties are featuring some of your favorite hip hop and R&B artists—either hosting or performing—including Drake, 2 Chainz, T.I., Fabolous, Chris Brown, Jermaine Dupri, Juicy J, Juelz Santana, Joe Budden, Future, Ludacris, Young Jeezy, Trey Songz, Monica, Chaka Khan, Anthony Hamilton, and dozens more. Yes, that's all going down this week and weekend in Charlotte. Visit www.CharlotteMagazine.com/CIAA for the best CIAA Week/CIAA Weekend guide you'll find on the 'net.